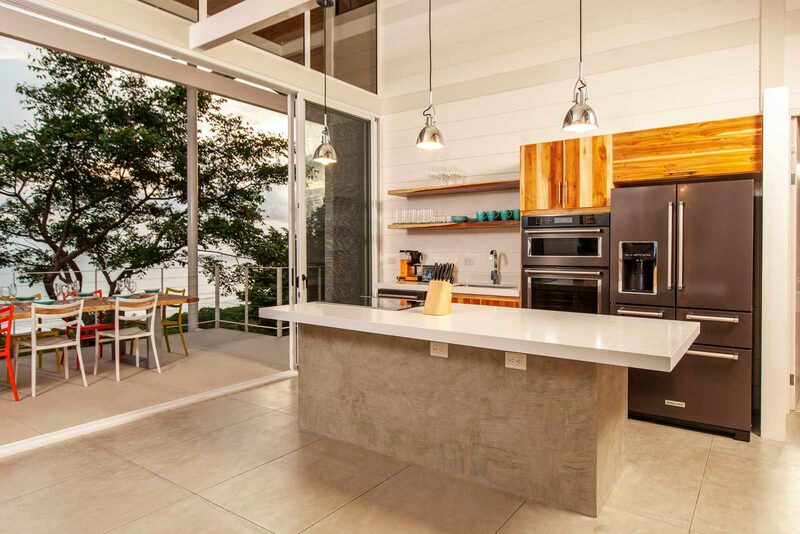 The Location: This home is located at beautiful white sanded Playa Santa Teresa, named one of "the most beautiful beaches in the world" by Forbes Magazine, perched above the famous surf spot, La Lora, featuring AMAZING views of the ocean, surf, and mountains. Fine dining, shopping and a large number of activities can be found at minutes away from the house. 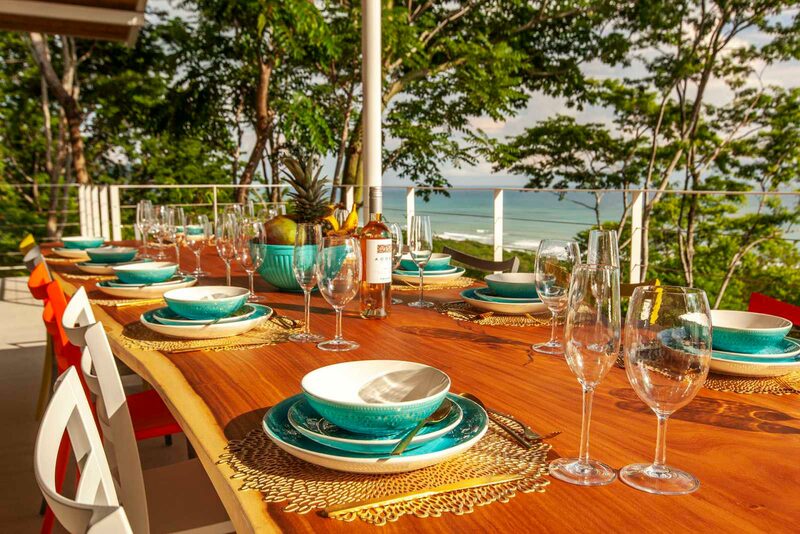 The Community: The only luxury gated community in Playa Santa and it has a 4 hectares (10 acres) private nature reserve with beautiful wildlife and tropical gardens. All of this at a 5-minute walk to the beach. Gorgeous community pool fully equipped, perfect for family gatherings. The Residence: This home was designed with vacationing in mind, which means there is enough space to spread out and come back together as desired. As the door opens the view is unreal, looking right into the Pacific Ocean. 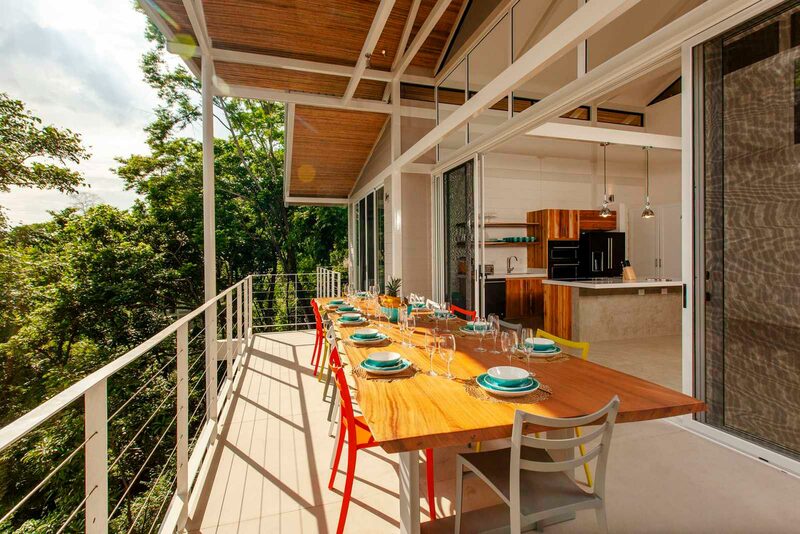 There is a large open space with a gourmet kitchen, living area, and a half bathroom, all connected to a large covered deck with a 4-meter custom dining table with seating for 12… Nothing better than dining out on the open jungle and sunset views. From the deck, there are private entrances to the 2 upstairs master bedrooms with en suite bathrooms. All of the beds were designed hand made from local, sustainable Costa Rican Laurelwood. One master has a gorgeous 4 poster King bed and the other has a King bed and a twin day bed both looking straight to the ocean. Stairs walk straight to the TV room fully equipped with an icemaker and wine fridge. The sliding glass doors next to the TV room walk straight to the deck, outdoor living/BBQ area and it has as well as a private pool with more ocean views. Downstairs are also 2 more bedrooms and both of these are also en suite. The "bunk room" has 2 sets of Twin XL over queen beds and the downstairs master has a King bed and a twin day bed. The Business: On its first year on the vacation rental market the income was $82,000 with yearly running costs of around $24,000. The numbers only improve as the years go by!